June 29, 2016 | Joe Hartfeil & filed under Radio Camp. Want to sign up for an exciting summer youth camp offering hands-on radio training? 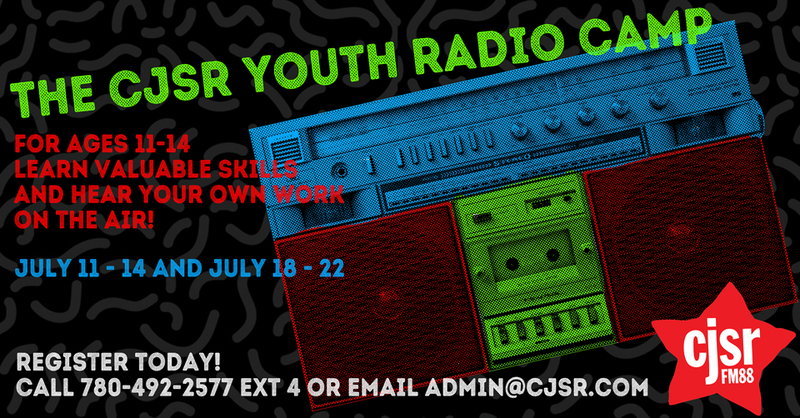 CJSR is pleased to present a Youth Radio Camp running from July 11 – 15 and July 18 – 22! The camp will allow youth ages 11 – 14 to learn valuable skills about making radio and to hear their own work on the air. The cost for this camp is $225 per participant. To register today for either week, follow this link. Contact admin@cjsr.com or 780-492-2577 ext 4 if you have any questions.